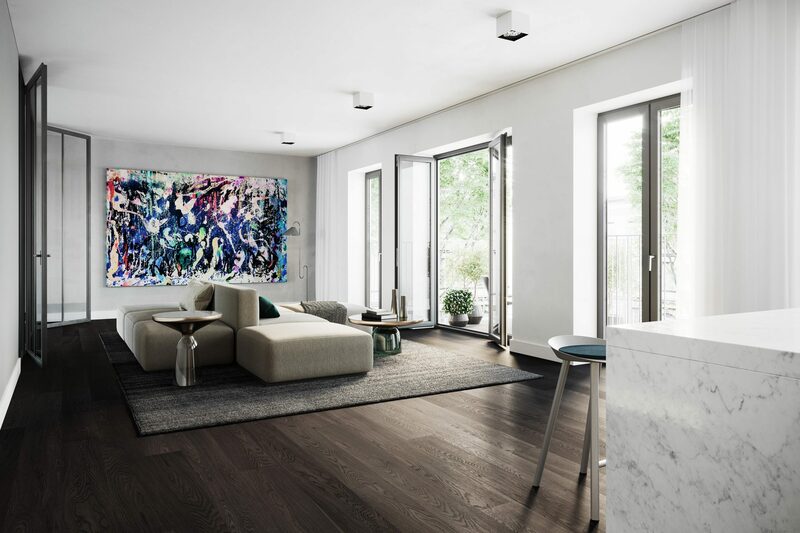 This is what a timeless classic looks like: GLINT combines the distinctive style of period apartments with the modern urban Berlin lifestyle. 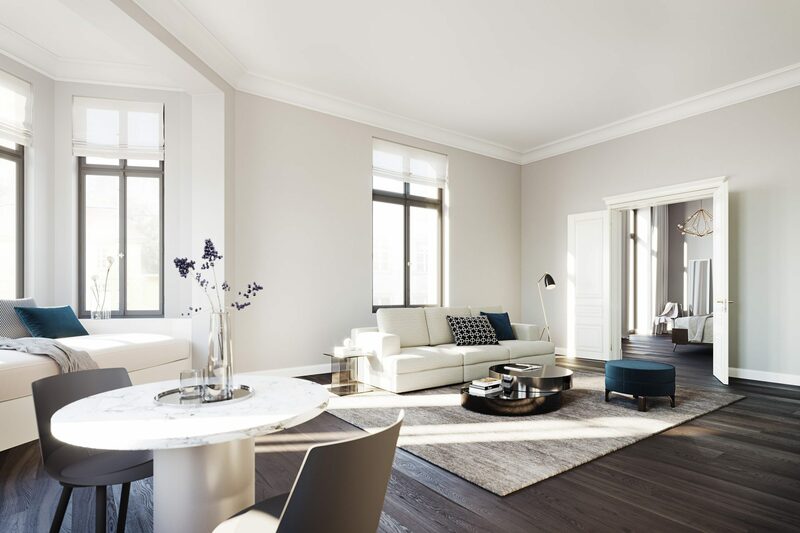 Distinguished entrances, high ceilings and sophisticated design merge with smart technology that facilitates cutting-edge sustainable living while still leaving room for personal preferences. 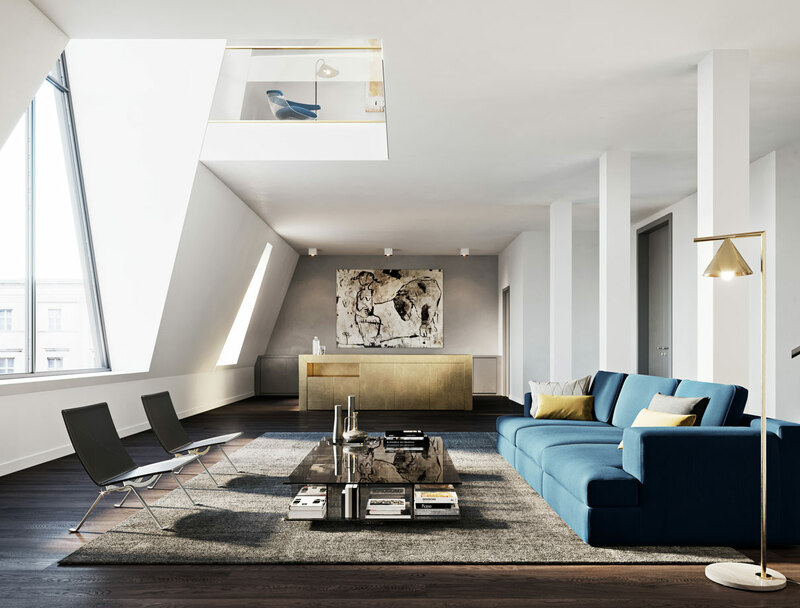 A range of layouts and designs are available at this Berlin property: from stylish studio flats to elegant 100-square-metre residences and impressive rooftop apartments with a private terrace and views across the Berlin skyline. Our sophisticated Berlin-Mitte apartments will enchant you! 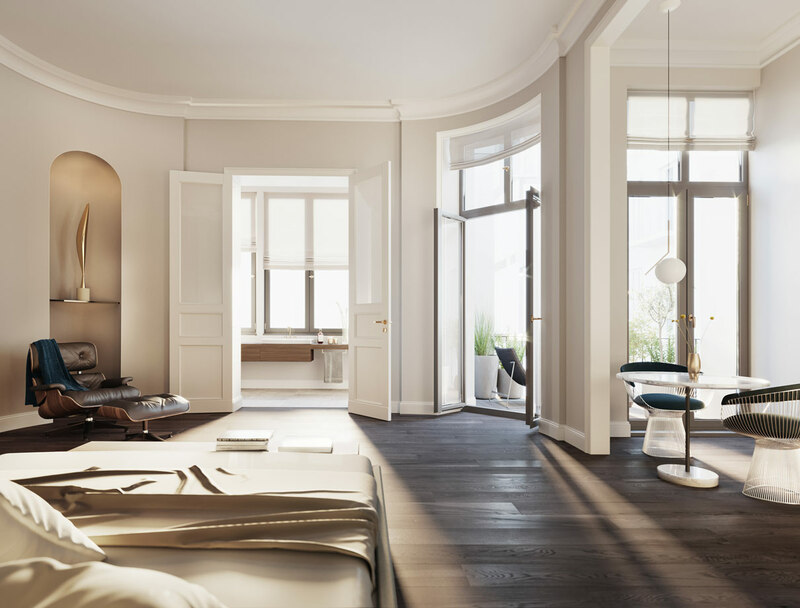 Rooftop, residence, studio: Discover the different GLINT apartment styles and experience the convergence of late 19th century elegance with state-of-the-art comforts. For those who set their sights high and seek freedom without limits: Rooftop apartments at GLINT. GLINT consists of five buildings – and the different addresses are clearly visible on the façades. The addition of an extension fits in seamlessly, as the individual buildings are internally restructured to form a singular ensemble. This is achieved primarily through the central courtyard, which is accessible from each building. The inner courtyard is elaborately landscaped and serves as a communal green oasis in the middle of the city. 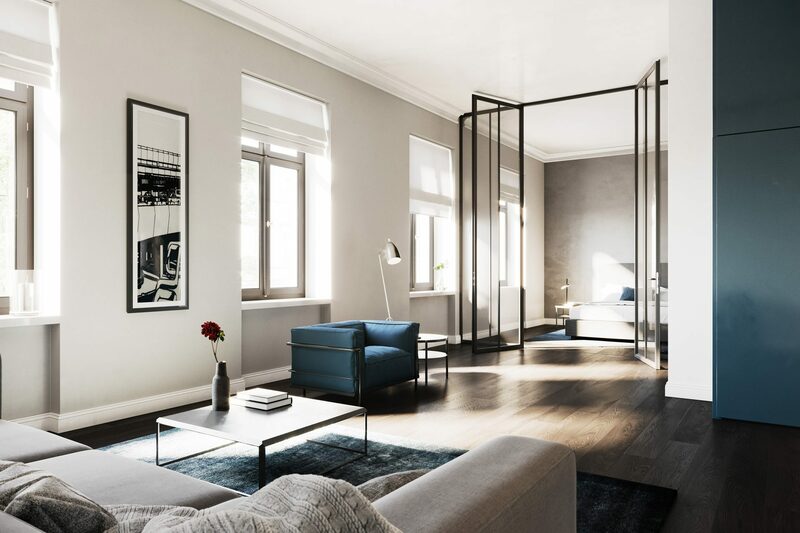 First impressions matter ­– GLINT Berlin apartments combine historic elements with timeless elegance from the very first detail. 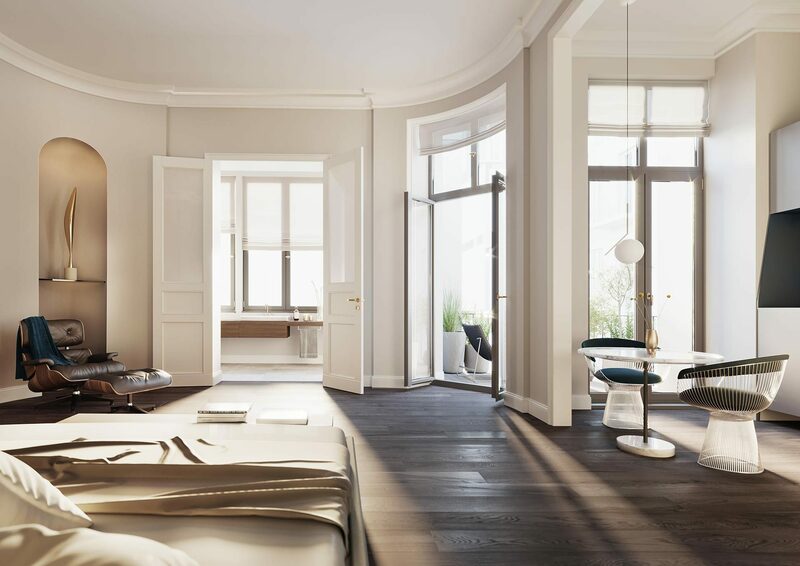 Sleek floorboards make for a striking entrance: Made from smoked oak, they evoke nostalgic feelings, playing to the period style of the Wilhelmine era entrance areas and adding value and class to these privately-owned apartments. Thanks to the elaborate smoking process, the oak boards are exceptionally robust. The living areas themselves are impressive with their open layout, remarkable ceiling height and sophisticated floor tiles by Cotto d’Este. Ceiling-height glass swing doors open up the room even more, while natural wood windows fill the space with natural light. 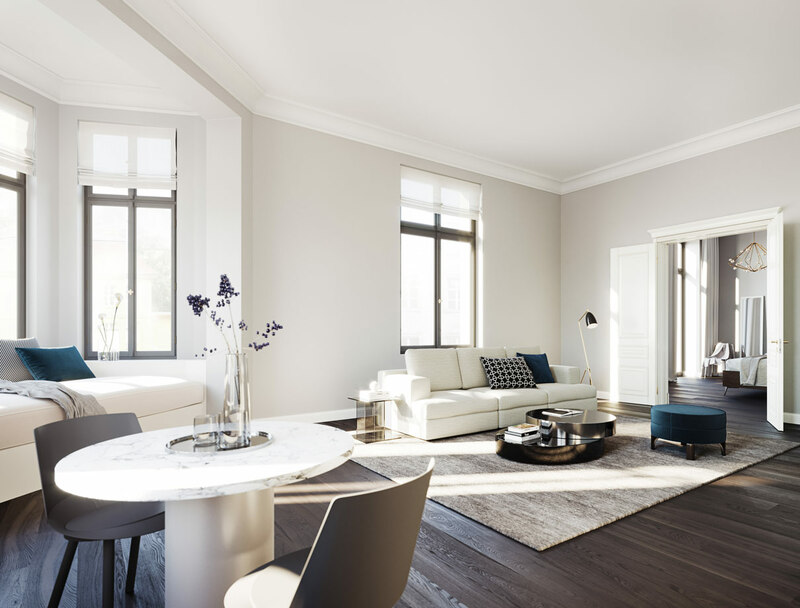 Their design is based on the location of the apartment: In the traditional period building section, the windows adopt the historical design; in the new structure, large windows dominate. The bathrooms are the epitome of style: Golden brass fittings from the premium Danish brand VOLA complement matte black bathroom ceramics by Valdama from Italy. 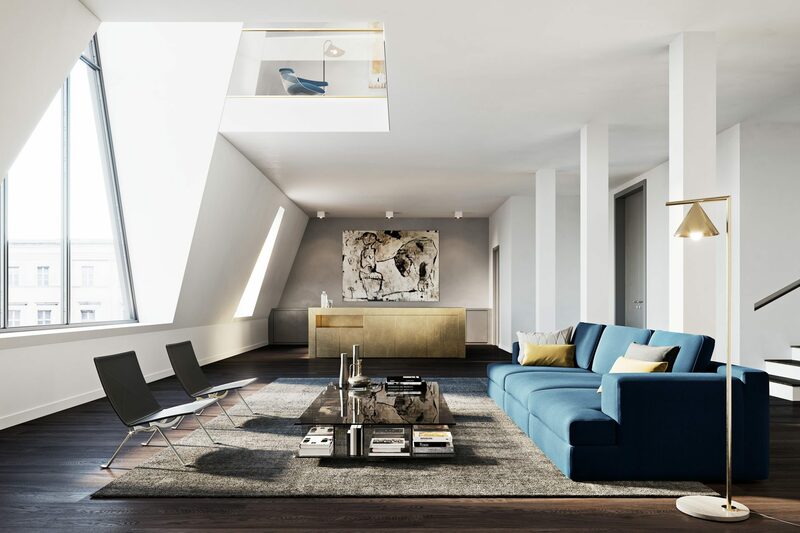 A feast for the eyes and senses, it highlights the attention to detail characteristic of these Berlin-Mitte apartments.